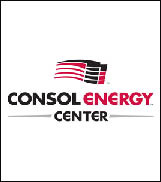 PITTSBURGH, PA (CelebrityAccess MediaWire) — The Pittsburgh Penguins have signed a five-year agreement with AEG Facilities to manage the Consol Energy Center starting on September 1st. The 20,000 capacity hockey arena frst opened in 2010 and currently serves as the home to the Pittsburgh Penguins (NHL) and the Arena Football League’s (AFL) Pittsburgh Power. In addition to hockey and arena football, the arena hosts more than 150 events a year, including NCAA basketball, concerts, family shows and other special events. Previously, the arena was operated on behalf of the Penguins by SMG. AEG says that venue staffers, including ticket takers and ushers would retain their jobs, but the venue's current management team will be evaluated.